Extensive farm complex comprising 2-storey and dormered attic, 4-bay L-plan house, (later, single storey former schoolroom adjoined to SE) with lower, 2- and single-storey, crowstepped-gabled adjoining range projecting to NW, with terminating threshing mill, accompanying boiler house and chimney; lectern doocot disposed at right angles; further byre/store/cartshed ranges, forming farm courtyard with yard entrance to NE range; parallel ranges of single storey byres/sheds to centre of courtyard; large walled garden to NE of main house, (NW wall forming SE range of farm yard); single storey, complex-plan farm cottage to SE of main house, early 19th century core with later extensions. 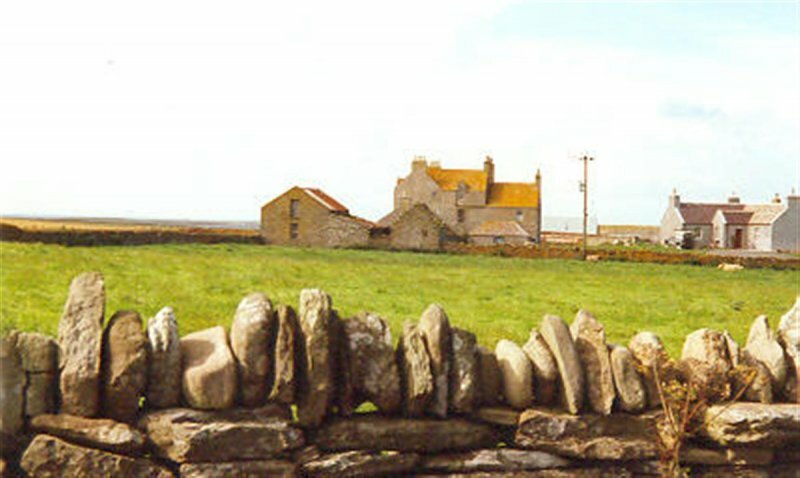 September 1996: SCT receives information from the owner that the farmhouse has been empty since 1994, and on the market since 1991. 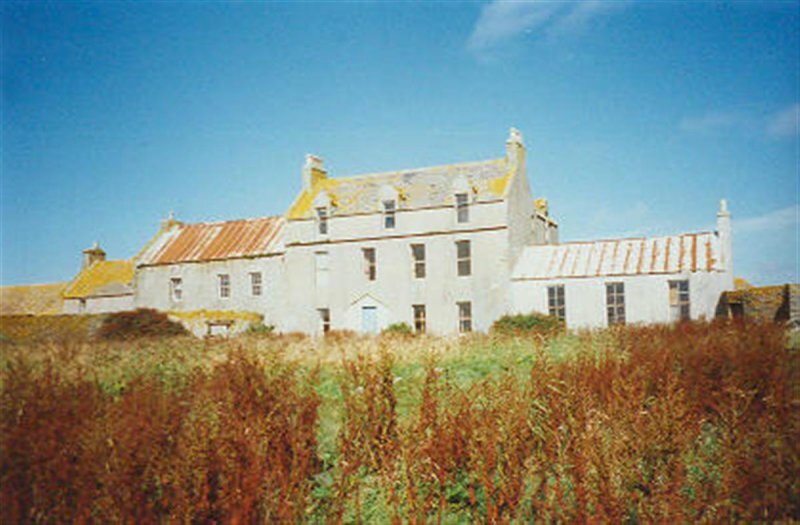 October 1997: The steading is reported to be in worsening condition, with extensive renovation required. 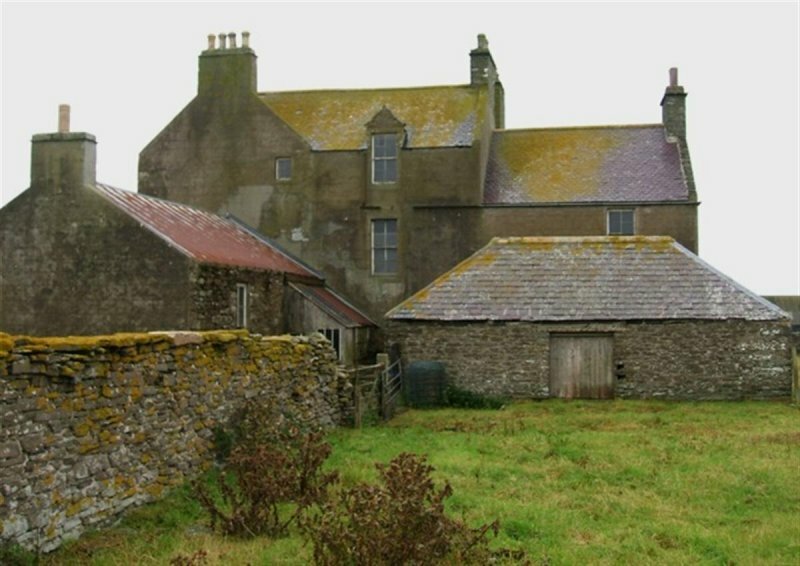 SCT understands that the house has recently been sold separately from the other steading buildings. 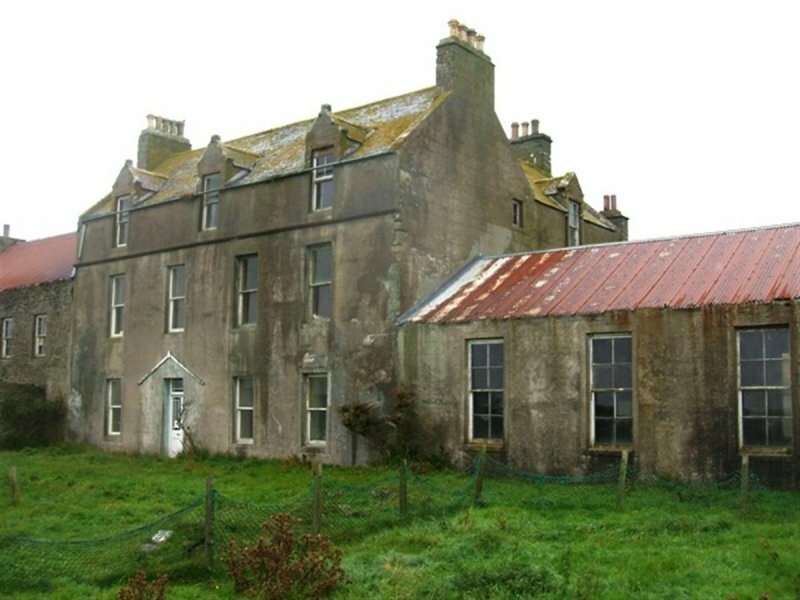 1999: Local planners report that no approaches have as yet been made to Orkney Islands Council concerning renovation or conversion. December 2008: Orkney Council forward recent images of the complex. 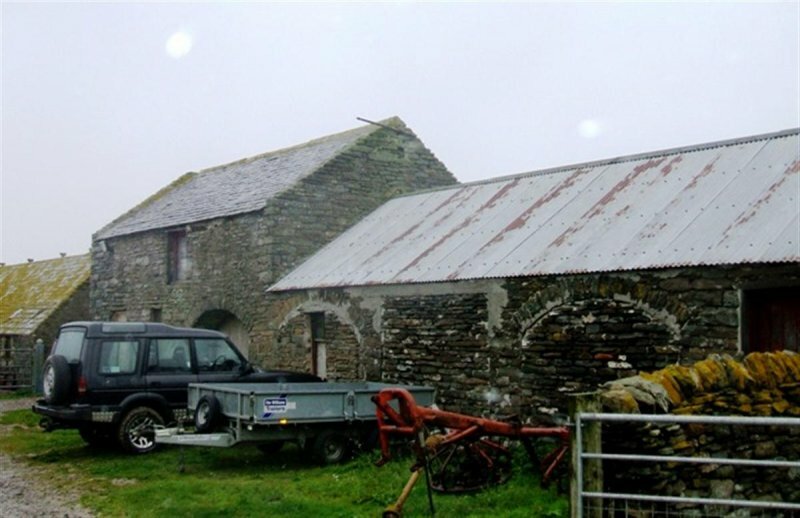 May 2010: A member of the public contacts SCT advising the property is understood to have been purchased and possibly under restoration. 18 February 2015: A member of the public advises the property remains At Risk with broken window glazings. Burgher (1991), pp90-91; Gifford (1992), p357; Hume (1976-1977), vol. II, pp249-250; Robertson (1946).